What happens when an organic farmer with 30 years of experience and a 30 year design veteran team up? Definitely something you don’t want to miss! 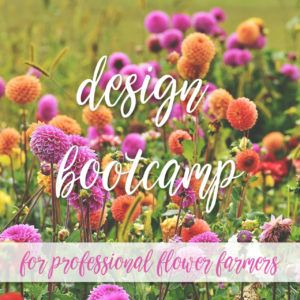 This is a workshop for flower farmers who want to deepen their design skills and get inspired! Garden Party has teamed up with Deb Jasinski from Ochre and Bough. Deb is the floral designer and creative director of Ochre & Bough, as well as a freelance designer who specializes in weddings, events and large-scale onsite installations. Deb’s true passion in the flower industry, however, is teaching. She has been an instructor for 10 years, teaching in both a school setting and online. Sharing her craft goes well beyond the classroom for her. She is inspired by the words of French painter, Henri Matisse, who once said, “There are always flowers for those who want to see them.” Sharing with students how to open their creative eyes to all that nature has to offer is an integral part of her teaching practice. Deb encourages her students to “be” outdoors, to “observe” our natural surroundings on a more macro and intimate level. She believes that you can mimic nature in a design most authentically when you truly understand it. Deb’s design style has gotten her published worldwide. 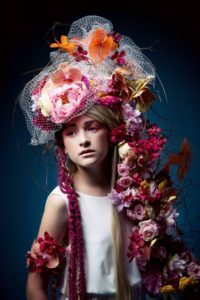 Her most notable accomplishments were featured in the International Floral Art Annual (Belgium) two times running. 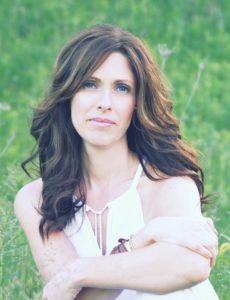 Her works can also be seen in various magazines and online blogs such as Wedluxe, Wedding Bells Magazine, Style Me Pretty, Vale and Vine, Grey Likes Weddings, and Inspried by This. Usually a design essentials workshop like this takes 2 days. But we’ve bootcamped it down into a single day to minimize the time away from your farm. Deb will coach us in basic design techniques with a focus on weddings and events. She’ll demonstrate all the basic tecnhiques for wedding florals and share tried and true tricks for details like: pricing, transport and time management. We’ll spend time in the flower fields picking the blooms we want, and then head to Garden Party’s design studio for hands-on design with Deb. Bring your gloves and cutters. We’ll pick freely from Garden Party’s free-range flower fields, but feel free to bring a bucket or a few bunches of any blooms you want to design with.